If you have a huge garden or lawn to mow, the best commercial lawn mower is the perfect choice for you because it’s tailored to mow huge areas. Professional grade lawn mowers have extra-large cutting decks and exceptional durability that make them the best models for huge yards. They are ideal when it comes to professional lawn care and maintenance. To get you started, we have looked at a buying guide of commercial lawn mowers and then provided you with a review of the top 3 mowers on the market today. All these models reviewed on our list are very effective and require minimal effort to operate. If you want a mower that provides the flexibility of cordless mowing and value for the money, then the CM1640 is the product for you. This is a battery powered machine that is compact, easy to maneuver, and lightweight. In fact, it weighs only 38 pounds, making it easy to carry from the back and front yard. The machine comes with a 40 volts lithium-ion battery that lasts longer. The lithium-ion battery is better than other batteries since it doesn’t hold memory, pack more power, and charges faster. The package also comes with 2 rechargeable batteries that are enough to give you about 30 minutes of cutting each. The best feature, every battery has its own power gauge to show you how much power is left. With a 16 inches compact cutting deck, this mower is a perfect choice for lawns of about 1/8 acre. Although wider models make fewer passes across the garden, this mower has its place since it will do wonders in lawns with trees and other obstacles. In addition, due to its lightweight nature, it is very easy to push around your garden. This machine offers you six choices of height adjustment. It comes with a central height adjustment system that enables you to cut the grass according to the height you want. There is a single lever that enables you to easily adjust the height between 1-1/10 and 3-1/10. 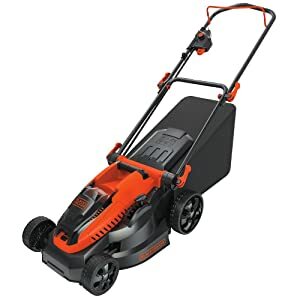 Other features include a push-button start for starting your mower, an automatic braking system for stopping the blade, a 9.5-gallon grass box with an indicator and LCS36 maximum fast charger. Very easy to navigate and turn. Might jam if you remove too much grass at once. The MTC220 is an ideal mower for small lawns with rough terrain. It is perfect for users that don’t have a lot of grass to cut. In addition, if you don’t have sufficient storage room, this compact machine is worth looking at. The brand Black and Decker is associated with quality products and this mini unit isn’t an exception. Having a battery powered machine means no oil, gas, or tune-ups to fret you out. The product uses a long-lasting 20 volts MAX lithium-ion battery, and the best part it comes with 2 batteries to extend its operating time. Compared with other batteries, this battery is more compact and smaller. Its energy density is very high and the manufacturer states that it retains power 5 times longer than most batteries. The MTC220 is not a machine for people with 5 acres to cut. But it offers the much-needed trimming for people with huge lawns. After all, even the best robotic lawn mower requires a supplement manual mowing machine to finish its job. Isolated grass areas, for instance, can be hard to reach for some mower and this is where this product comes in handy. It works very effective in lawns with lots of obstacles too and cut small lawns of about 700 sq. ft. The mower features a detachable deck that offers you a choice to change from edger/trimmer to a mower. It has a foot pedal that enables you to switch between these two features of cutting and trimming without much hassle. It only takes a single button to discharge the trimmer. The other great feature of this unit is that it provides 2 height options of 1.6 and 2.4 inches. Other notable features include a wall hanger for efficient storage, one spool of trimmer string, operating instructions, guard, auxiliary handle, and 90 degrees edging. A trimmer with a mower. Not perfect for large lawns. If mulching is your main concern, then the CRP218520 commercial lawn mower will come in handy. It is made with a durable Briggs and Stratton series 190cc engine that provides superb performance with little effort. Powered by the latest Briggs and Stratton commercial series engine, you can be assured of getting the perfect result every time you cut your lawn. It is very easy to use this machine, just like a home mower, since it comes with ready start starting system which makes igniting the engine a piece of cake. Don’t be deceived, the engine is powerful. The best thing, the engine doesn’t produce noise. You don’t need to fret about your garden having some patches of grass since this unit clears everything, even in tight corners. It comes with 10 inches wheels that move via thick and tall grass without any difficulty to offer you a smooth ride and perfect turns. This machine offers you great performance due to its strong construction that includes a heavy-duty coated steel mowing deck as well as solid steel front axle. The deck enables you to use your machine for years without worrying about getting broken. Other features include strong blade, height selection feature, and recoil starting system. Start button tech is better than recoil start. Riding Lawn Mowers – These types of mowers allow the users to ride them and cut the lawns at their own pace. They are perfect for large lawns. Walk Behind Mowers – These are perfect for cutting grass in tight areas or corners. They are also affordable. 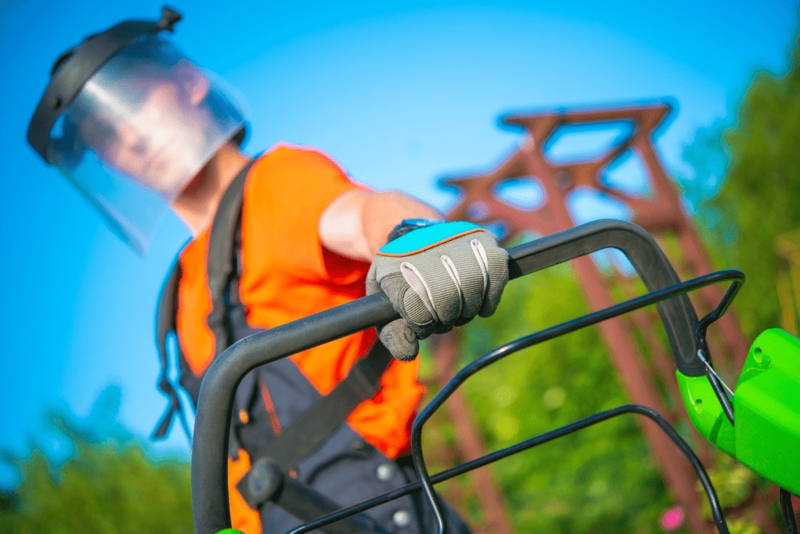 Stand-on Surfer Mowers – These are perfect for hilly areas. They are also affordable. Small-push Mowers – They are lightweight, simple to use, and don’t need regular maintenance. They are the best for professional use. The very first factor that you should consider is the mower’s horsepower and engine size because as much as these brands are commercial units, they don’t come with the same horsepower and engine size. Some brands have bigger engines and thus provide more power than others. 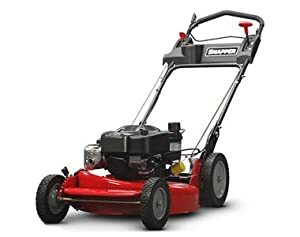 If you have a huge lawn with a rough surface and thick grass, then you need to buy a mower with a huge engine and high horsepower because mowers with low horsepower will find it hard to mow tough terrains. This model of mower will also save you cost and burden of maintenance as it will not break down easily. Second on the list of thing to consider is the mowing deck size because it determines how slow or how fast you will complete your mowing. A big mowing deck translates to reduced mowing time as it clears a huge area in just a single pass. So you will only need to pass a few times and your garden will be cleared. On the contrary, a model with a small deck will maneuver easily but will take the whole day before you complete the job since it clears less grass in each pass. One thing to remember here is that a mower with a huge deck works well in a lawn that is free of obstacles. If your garden is filled with hills, trees, and other obstacles, consider getting a model with a smaller deck. Thirdly, you need to determine how easy it’s to control the model you want to buy and how accessible its controls are. A few years ago, commercial mowers were built with dual levers; however, with the best technology being in place today people prefer a single lever product since it’s much easier to control. With a single lever control, you can easily control your machine with one hand while the other one remains free – you only need to touch your machine once and it will respond. The fourth thing that you should consider is the speed. Commercial lawn mowers provide speed variability and this varies from one unit to the other. Some have 2 speeds which you can choose from, others have 3 speeds, others have 4 speeds, and others have more than 4 speeds; they often stop at 7mph. models with high speed allow you to complete your mowing faster, leaving more time to relax and do other things. Lastly, you need to consider the suspension of the professional grade mower you want to buy. Models with full suspension are the best since they are more comfortable and provide the smoothest movement. The full suspension offers your machine the ability to follow paths of your lawn and thus produce the most even cut. Always be careful when fueling up – wipe up all spills and don’t refill a machine that is warm or hot to avoid starting fire. Always dress well – wear sturdy boots, a closed fitting shirt, and long pants. Avoid loose clothing. Wear hearing protection – extended exposure to noise can result in a hearing problem in the future. Clear your lawn before mowing – clear any obstacle that can turn into a projectile if you accidentally mow over it. Avoid backflips – always go straight down and up to avoid rolling over slopes. Don’t leave your machine unattended – especially when it’s on. Follow the manufacturer’s safety instructions – don’t dismantle safety guards and other features in order to enjoy more speed or power. Never let your machine start accidentally – always unplug your machine or take off the battery when repairing it. Q: Are there advantages of cordless lawn mowers? A: They are cost effective since they don’t use electricity. They are also very easy to maintain since there are no cables to care for. The other benefit of these types of mowers is that you can use them anywhere you want, as long as they have their batteries. 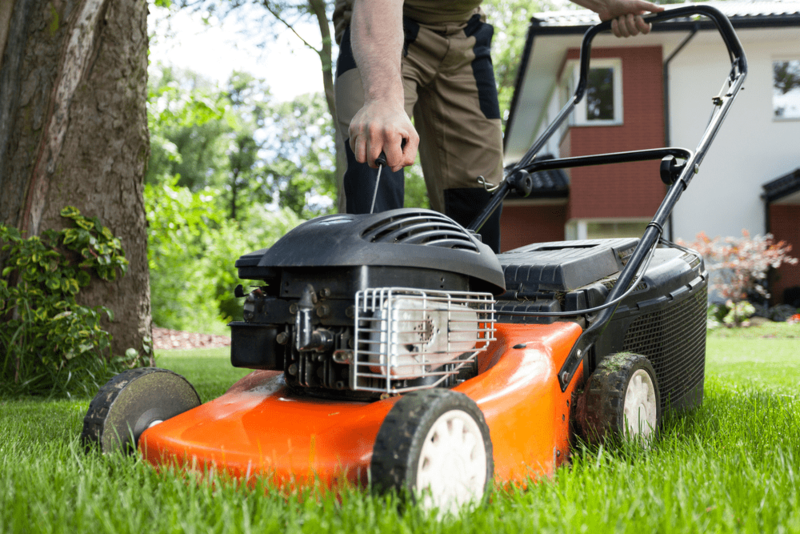 Q: How can I know if a push mower is the best for my lawn? A: This is the best unit if you have a small lawn of about 7000 sq. ft. and if you are mowing short grass with no thatch. Q: Are all electric lawn mowers the same? A: Just like all other types of mowers, electric mowers aren’t the same. They differ when it comes to motor and power source. They are classified as corded electric mowers to show that they need an electric cord to operate. Cordless mowers are those types of mowers that don’t need a cord to work since they usually come with a battery. What’s the best commercial lawn mower? With the review above, you don’t need to worry about getting the best mower for your lawn. 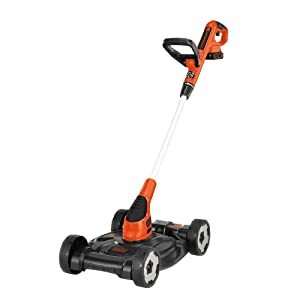 Consider the BLACK+DECKER CM1640 16 Inches Cordless Mower since it offers some of the must-have features of a great professional grade lawn mower.